Want to hear Philip reading the book for free? 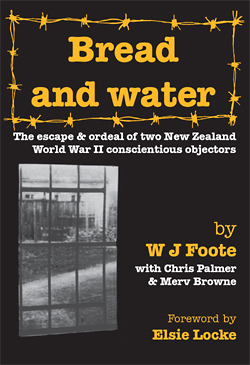 New Zealand World War II conscientious objectors were treated more harshly by the authorities than those in other countries. Chris Palmer and Merv Browne were imprisoned for their Christian pacifist beliefs, first in Mt Eden and Wanganui, then in remote military defaulters’ camps in the central North Island. It appeared to them that the camps were designed to hold dissidents permanently and put them beyond the law. To bring conditions in the camps and this breach of human rights to public notice, in 1944 Chris and Merv escaped to Wellington. There they printed and distributed a pamphlet and tried to lobby politicians. This book, an important part of New Zealand history, tells of their audacious adventure and consequent punishment. It explores how the men’s Christian faith, developed through membership of the Methodist church, led to their anti-war stance and how it sustained them during their ordeal in solitary confinement. The book also touches on their involvement with the Riverside Community after the war. 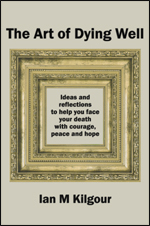 Author Will Foote has written several books on peace topics. He was also imprisoned in a detention camp during World War II.